HormonEase – This tea will balance your hormones, making it much easier – not only during that time of the month but also throughout. 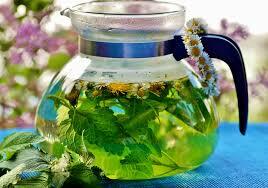 The herbs have a synergistic effect and help with period pain, promotes relaxation and general sense of well being. Pick-Me-Up – This tea will energise, restore and lift you up. Can be used any time of the day. Sleep Tight – This tea will help you wind down after a busy day and ease you into a good night’s sleep. Digest All: A fragrant sweet spicy tea that will help with digestive issues like bloating, pain and discomfort or in general a good digestion boosting tea. Liver Love: PS – To help detox and tone your liver and help with digestive system. This is a bitter tea, therefore not for the faint-hearted! All tea blends are caffeine free, organic and/or wildcrafted. To order contact me on 021 132 5701 or manasi@ayurveda-mandala.com. Orders can also be picked up from Beach Haven, North Shore. There will be an additional shipping fee if sent by post/courier.